How Long Will The True Fitness Performance 300 Last? When you purchase a machine of this caliber, you can rest assured that you will be able to experience quality for years to come. The Performance 300 has an intelligent design and has been built with True’s high-quality standard. True has made a name for their ability to produce quality products backed by personal customer care, which translates into a longer-lasting elliptical. A serious user who enjoys daily workouts should have little to no problems with the Performance 300 for quite some time. Even still, please be sure to properly maintain your elliptical. If you pamper your machine like a soccer mom with a gluten-free, lactose-free, vegan kid, then you will surely see many more years out of your elliptical. Just as there are people who need more affordable brands, there are also people who find high-quality machines worth the money. While we like the quality in these types of models, we also like to see the esteemed brands make an effort at producing more affordable products. True has created the Performance 300 that is not their most affordable but is one of their best values for their lower price range. We not only like this elliptical’s build and durability, but we also like the Performance 300’s warranty, design, and company backing. Consequently, we have awarded the Performance 300 our First Place 2019 Best Buy Award for the $3,000 to $3,999-dollar category. First off is the electronic portion of the Performance 300. True has built this model with a pretty basic console, but they have also included fourteen built-in workouts. Other basic consoles in this price range have about ten, so there is a slight advantage to True’s basic console. Also, True has built their ellipticals with an electromagnetic resistance system. While this system is not unique to the Performance 300, it is a valuable feature that helps exemplify True’s quality design. Most of the models on the market have what is called a permanent magnet. This type of resistance system typically uses a pulley-system to pull or push a magnet closer or further away from the flywheel which creates the feel of resistance. True’s ellipticals only have the electromagnet system; this system uses an electric current to increase or decrease the magnetism. For the most part, the electromagnetic systems denote higher-quality as they require better engineering and decrease the likelihood of potential brake/resistance problems. While there are other brands that use this type of resistance system, the fact that True only uses this type of resistance system speaks to their standard of quality that has not been overlooked in the Performance 300. We also like the Performance 300's solid build and quality components combined with a well-designed center drive system. This type of price tag helps to ensure a guaranteed amount of quality. Similarly, this model's lifetime frame, seven-year parts, and one-year labor warranty carries more weight than other brands' warranties because of the True name. True has built a reputation around their well-known, personalized customer care which adds a great deal of value to the warranty. We also like the footpads on the Performance 300. True is well-known for their orthopedic belts on their treadmills. They have included their orthopedic expertise on their ellipticals by including orthopedic footpads. The Performance 300 introduces their removable orthopedic pads to give you the option of the additional cushion which is a nice touch. Additionally, True included sidesteps that surround the foot pads. This helps you to have somewhere to stand if you either need a break or if you are mounting the machine. They claim that you can focus on your upper body by moving the arms while standing on the stationary footpads. While we cannot speak to the effectiveness of this workout variation, it is pleasing to see True add small, functional features that increase the Performance 300's value. We do have a few minor drawbacks. We do not like the Performance 300’s inability to adjust its stride length. If a twenty-one-inch stride is not comfortable for you, then the Performance 300 may not be for you. Moreover, the price tag is a pretty hard pill for some people to swallow. While we understand the amount of quality in True machines, there are decent machines that cost much less. True has certainly narrowed their customer base significantly with their high price tags. In previous reviews, we have highly praised the Performance 300. We have remarked that this model is one of True’s best values. One receives True’s high-quality at a more reasonable price. We have also commended the great engineering in the Performance 300 as well as the exceptional customer care that comes with this elliptical. While we are not too fond of the higher price tag or the non-adjustable stride length, we cannot deny the amount of quality that True has put into the Performance 300. This type of elliptical comes with a strong, durable build and functional features all backed by a reputable company which adds up to a good value for the price. 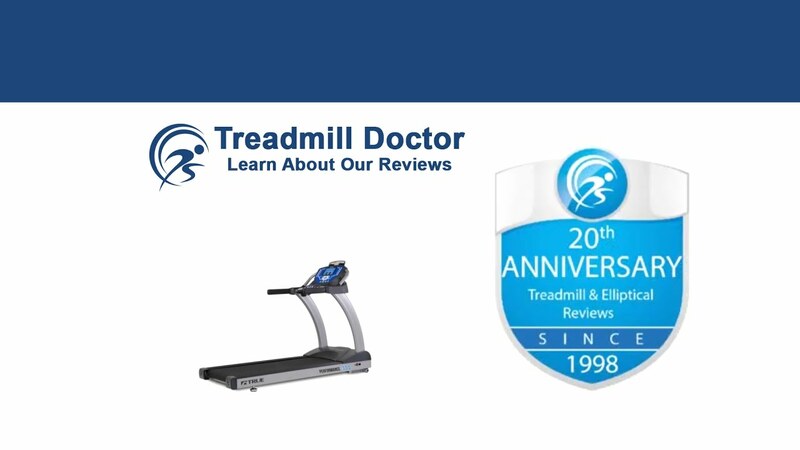 Subsequently, we would recommend our 2019 First Place Best Buy among the $3,000 to $3,999-dollar ellipticals to a serious user who appreciates good quality and has a bigger budget.